This is a story that happens in Scotland; where legends and battles have given rise to a whole town full of wisdom, is in that place where born and grows our brave heroine: Merida a free-spirited and headstrong young woman; she will face harsh life experiences. She is the daughter of King Fergus and Queen Elinor and has grown perfecting their skills as archer; she’s the best in the kingdom. She is determined to take her own way; but when her mother decides marry her to the son of one her father’s allies, Merida break the rules, announcing that she is eligible to compete for her own hand and she defeats each of her suitors in an archery contest. This action unleashes the fury of the Queen and after discussion, Merida escapes from there destroying a painting that establishes a bond with her mother, and that will alter their destiny. 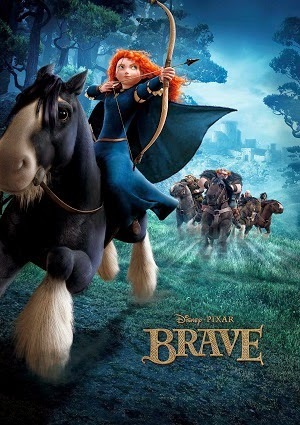 Merida wants to change their destiny, but mistakenly delivers to the Queen, one potion that turns her into a bear. Then the queen will be persecuted by the king, he is willing to kill her, thinking she’s a bear. He does not know the truth about what happened. Merida must repair that broken link to save her mother.